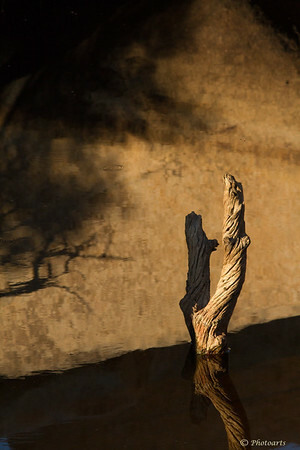 A dry tree trunk crosses intersections of light and shadow in a reflective pond for a unique abstract composition. Excellent capture. Love the light and shadows. Nice play of light and shadow! Beautifully shot image !!! Great spotting the shot !!! Love it !!! The contrast between the shadows and the highlights just grabs me !